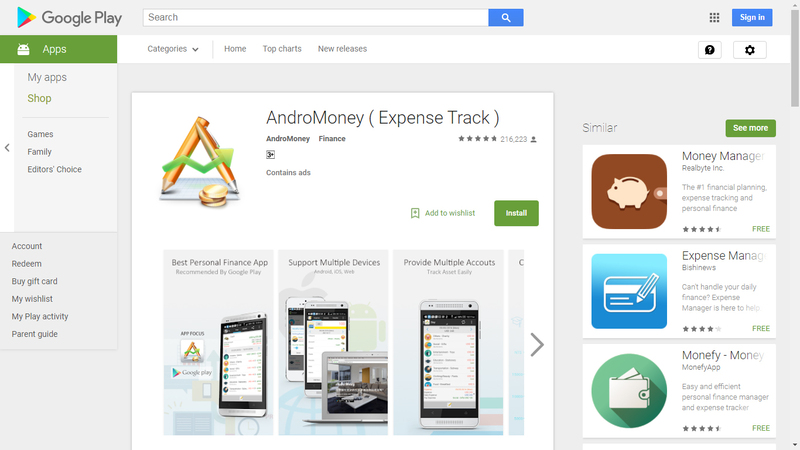 AndroMoney is a popular personal finance app. 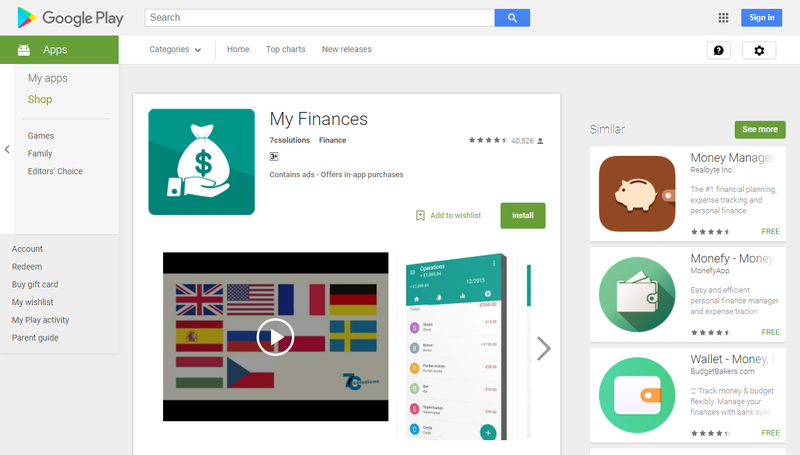 Works with multiple accounts and supports account balance and transfer. It is a very secure tool that comes with password protection. It is mobile friendly and works in any currency. It is compatible with Dropbox & Google Docs. 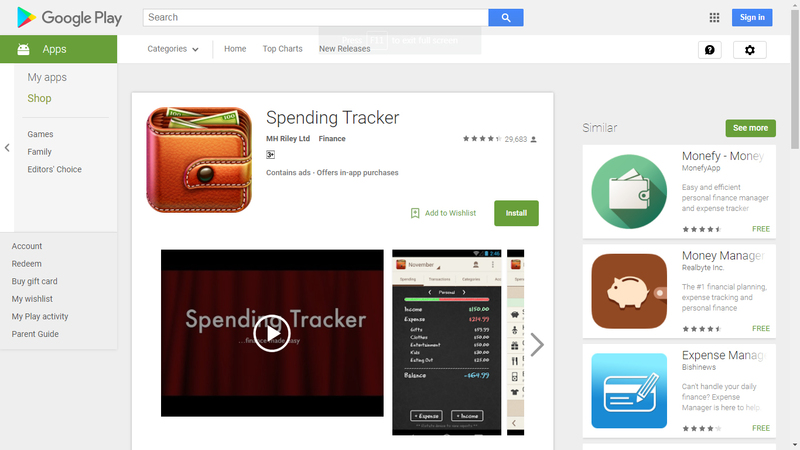 Spending Tracker is an easy and mobile-friendly app to track your expenses. It works with multiple accounts. and will allow you log expenses and income and create budgets. 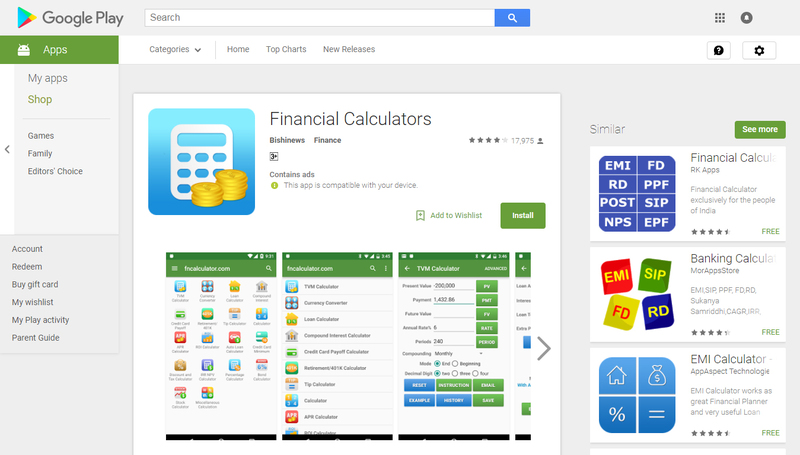 Popular financial calculators including stock, credit card, auto loan and lease calculators. 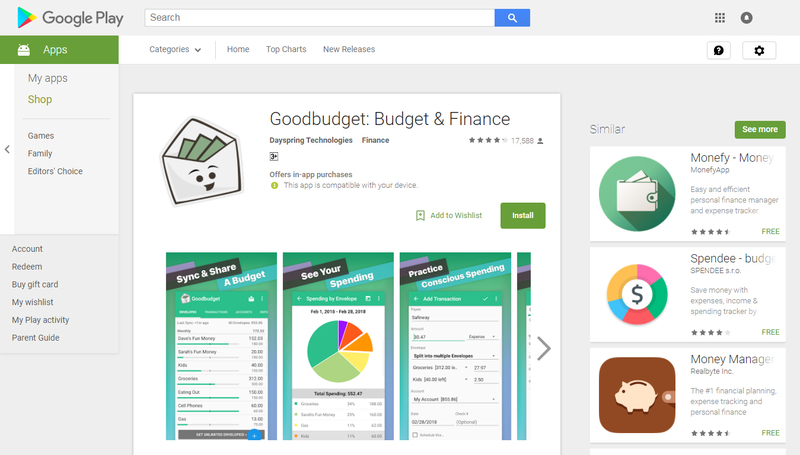 Goodbudget is a money manager and expense tracker tool that is ideal for home budget planning. It will help you stay on top of your bills and finances. 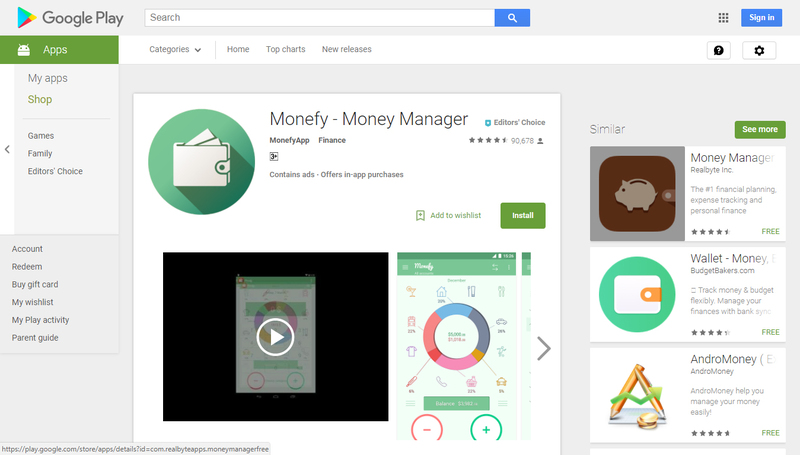 Moneyfy is a great tool that will allow you easily add new transactions when you are buying a coffee or taking a taxi. Wtih Monefy you can safely synchronize data between devices using your own Dropbox account. Create or change records, add new categories or delete old ones and they will be right away present on another device! 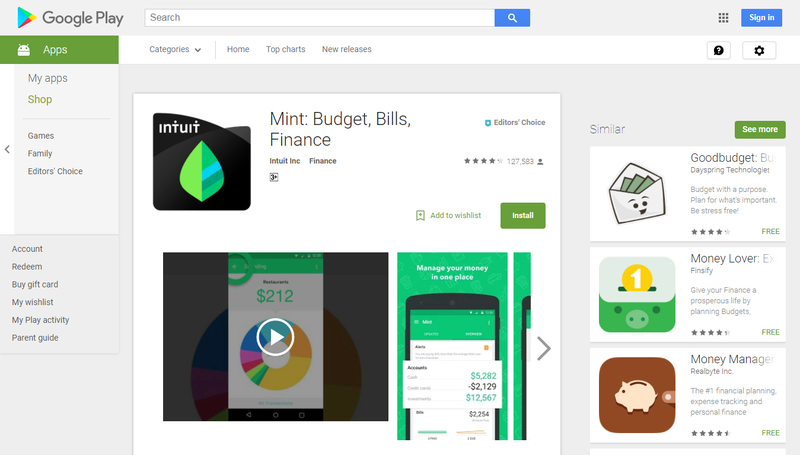 Wtih Mint you can see everything in one place, easily manage bills and money and create budgets that you can easily stick to so that you can make savings from day one. Using the individual or recurring transaction features, you’re able to track and forecast your balances. My Finances is the perfect tool to help you manage expenses and manage home budget. It will allow you to save more and also analyze your expenses to see in detail where your money is going. Comes with an easy to use interface where you can easily add new transactions and check existing ones. An attractive and intuitive interface will help you to add easily new transactions and analyze the existent ones. 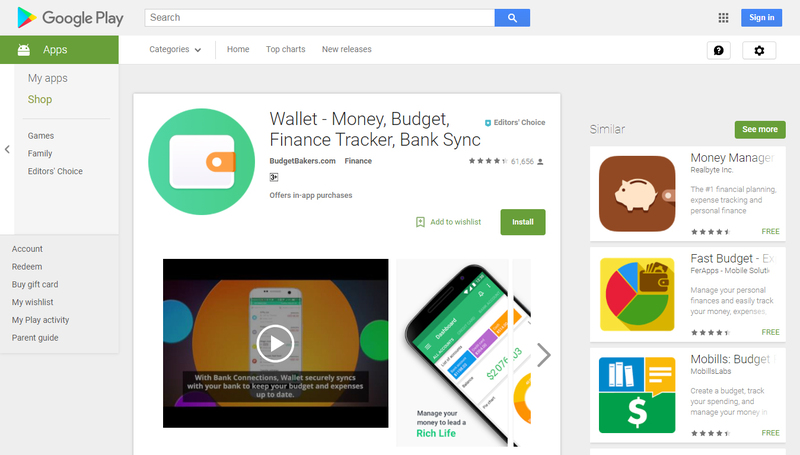 Wallet is a great app that will allow you to keep on top of your finances. It will help you create flexible budgets so that you can start paying off debts or save for purchasing a car of for your retirement. 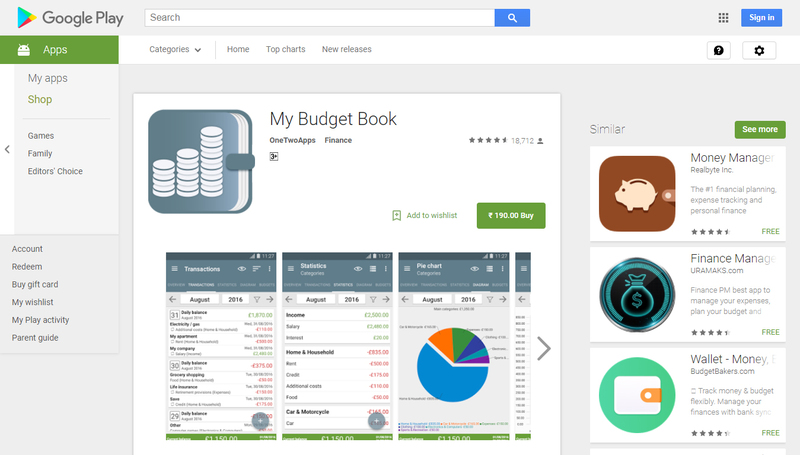 It comes with great reports so that you can easily see the state of your finances. 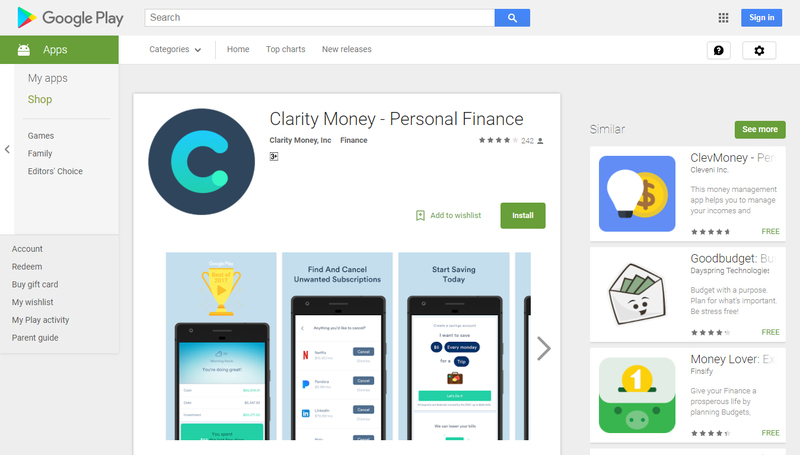 Clarity Money is your personal financial app. It will help you stop unwanted accounts and subscriptions from charging you. It will also let you create a savings account and easily transfer money between accounts. It is a great tool that will help you save money while keeping in control of your finances.